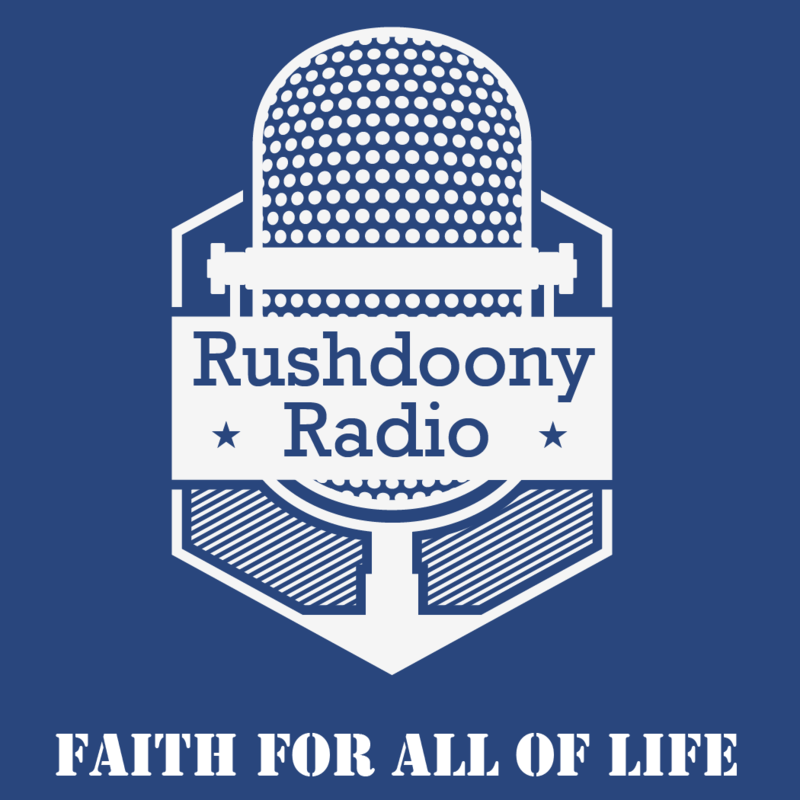 R.J. Rushdoony: 00:00 Are we encouraging insanity? This is R.J. Rushdoony, with a report on our threat to freedom. R.J. Rushdoony: 00:06 We are hearing increasingly all kinds of opinions which bear the mark of insanity. Thus one feminist leader has said that we must work for uterus implants in men, to enable men to bear children in order to have sexually equality. A professor who is an anthropologist has charged at the old expression in abandoning ship at sea, women and children first, represents male manipulative psychology whose purpose is the exploitation of women. Another man looking at women’s lib has said that the answer to this is to keep women barefoot and pregnant, and when he continued it was obvious that his serious thoughts were worse. R.J. Rushdoony: 00:47 Why is such wild and insane thinking so commonplace? There is scarcely an issue on the national scene without wild and absurd remarks coming from all quarters. Sometimes it is embarrassing to listen to or read some of the widely held opinions on the current scene. They do sound insane. What is behind this? R.J. Rushdoony: 01:10 I do recall some years ago hearing many like wild statements, but they from children and spoiled bratty children at that. They were threats. If you don’t do this I’m going to run away or some such thing. Now it’s do what we say or we’ll demonstrate and riot. With children, it was wild and impossible statements made without any sense of responsibility or reality. Now we hear this from adults. Childishness and foolishness from a child is bad enough, but in an adult it is insanity. R.J. Rushdoony: 01:44 For a parent to give in to a child is bad enough. For society or country to give in to the tantrum of people is deadly. It’s a way of saying that we will not be ruled by the slow, sometimes irritating processes of social order, but by threats and tantrums. Be ruled by threats and tantrums is to destroy freedom. R.J. Rushdoony: 02:08 God knows I do not like much of what goes on in this country. The courts often scare me with their indifference to justice and their over attention to technicalities. The answer to this is not tantrums and violence. If our society is not any better than it is, is quite likely because we ourselves as a people are not any better than we have to be and far from mature. R.J. Rushdoony: 02:34 Can we expect just courts in the midst of an unjust, lawless and immature people? Anytime something is radically wrong with the society, you could be sure that something is also wrong with the people. To change things, begin with yourself, and that does not mean a tantrum. To encourage social insanities is to destroy freedom. R.J. Rushdoony: 02:58 R.J. Rushdoony on our threatened free.